Podiums from Knockburn Loch the third round of the 2012 Tri-Centre Scottish Cyclocross Series hosted by Deeside Thistle CC. Please email any comments or corrections to the.timing.guys@gmail.com. Well done to the organisers of Knockburn Loch. It was a brilliant day – even if the weather was a bit too good for Cyclocross! 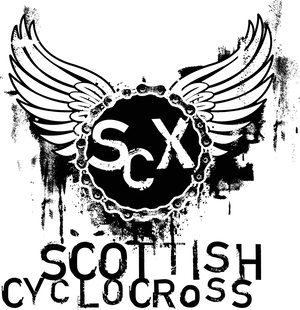 ;-) A good, tuff course with plenty of challenging Cyclocross features alongside a well-executed event made for a great day all round. Well done.